At Karen E Williamson D.D.S., P.A. in Rockwall, we are concerned not only with the condition of your mouth, but also with how it affects your overall health and well-being. This post looks at the connection between dental health, diabetes, and gum disease. Additional research is exploring the reverse relationship. In other words, whether poor oral health increases the risk of developing diabetes. Findings from a long-term study suggests that it does. If you have diabetes, it is important that you see a dentist regularly and are dedicated to daily oral hygiene, proper nutrition, and other vital practices. 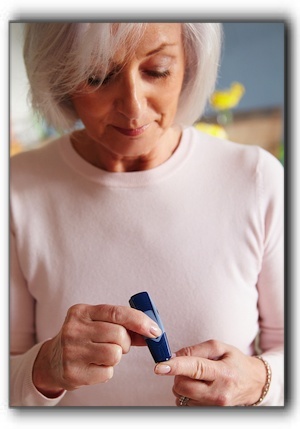 Additionally, your success in controlling your blood glucose levels will improve your oral health and vice-versa. If you don’t have a dentist and live in Rockwall or the greater Rockwall area, call the team at Karen Williamson DDS, PA. We offer gum disease treatment, and comprehensive dental health care. Schedule an appointment today.